Police make 'significant' arrest, report progress on London bombing investigation. British police on Saturday arrested an 18-year-old suspect in the London bombing. 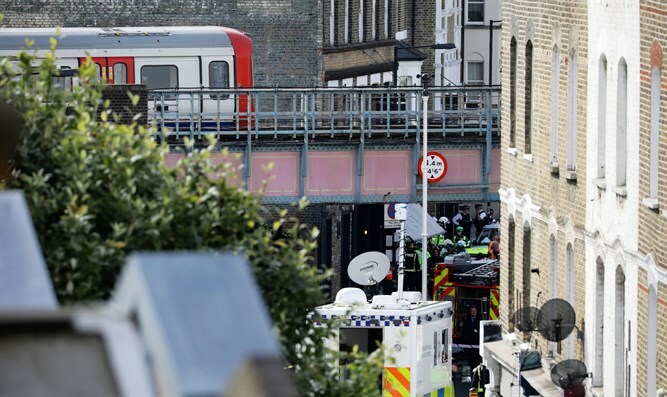 29 people were injured on Friday morning when a bomb exploded in London's underground system. Victims suffered burns on their faces. The suspect was arrested in Dover, with police calling the arrest "significant" and reporting progress in the investigation of the attack. Initial investigations show the bomb was on a timer. British Prime Minister Theresay May said, "Clearly, this was a device that was intended to cause significant harm... Our thoughts are will all those who've been affected by this attack. The emergency services were on the scene immediately, and once again I'd like to thank them for their professionalism and for their bravery." "The police and security services are obviously doing all the work to discover the full circumstances of this cowardly attack and to identify those responsible." US President Donald Trump responded to Friday's attack by tweeting, "Another attack in London by a loser terrorist.These are sick and demented people who were in the sights of Scotland Yard. Must be proactive!" He then tweeted, "Loser terrorists must be dealt with in a much tougher manner.The internet is their main recruitment tool which we must cut off and use better!"